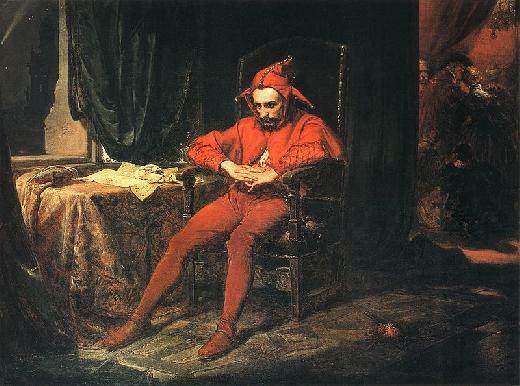 This jester watched “Who Do You Think You Are” (WDYTYA). I was touched and enjoyed the first episode. I hope all interested parties do not get the impression that genealogy is so easy or so fast. Perhaps it was not emphasized, but there about a half dozen of genealogical researchers (who appeared on film — I am sure there were more behind the scenes), who handle the various specialties: California, Gold Rush, New England, Salem Witch Trials, Cincinnati OH/ Germans. I think that demonstrates that you need various skills in various areas and no one genealogist can possibly know it all or be the efficient in areas outside of his/her specialization. I learned some things and look forward to learning more about areas outside my own sphere of expertise. I hope the WDYTYA will slog through the many blogs and find hints. So, here are two suggestions that I thought of as I watched that can help add even more connections to those watching. There were opportunities to connect to others (as possible sequels/foreshadowing) and just being literate. For example, I like to occasionally do some genealogy on literati. So I have looked into Nathaniel Hawthorne’s genealogy. His book the “Scarlet Letter” about the Salem trials would have been such a good side bar note. Not because I want useless trivia to clutter up the show, but because Hawthorne’s ancestor was one of the judge’s. They could have shown his ancestor’s name and connected Sara Jessica Parker to Hawthorne in this odd sort of juxtaposition that would have added something for Sara and for those watching. Indeed it drove Hawthorne to write the story and caused him to alter his family name(to an alternative spelling) — another good lesson to budding genealogists. Give the genealogists, researchers, archivists/archives, and historical sites 30 seconds on the film listing them and put their info one the website too (not just the celebrities). A “Thank you to…” still shot listing all of the above and an audio directing viewers to the web site page for more info on these people. Go to the web site and check out the “about” and exclusive “menus”, in particular the “did you know” menu selection. Did you know there have been approximately, 106 Billion people on this planet over all time? So in theory we’d only need slightly less than 37 generations in our tree to have everyone in our family tree. Of course, that would mean we’d have all people in the family tree before we even went back in time to the Norman Conquest (1066). Obviously there were people before that time. Why doesn’t the math work? As you go back in time, you should see some people appearing multiple places in the tree. So perhaps we need more than 37 generations to all be related. For those with a scientific mindset, we find in genetics that the genealogical “Eve”, appeared about 200,000 years ago. Oddly enough, the genealogical Adam, appeared only 60,000 years ago. Apparently, he killed off or somehow prevented all previous others from passing on their male DNA. Just so people do not get the idea that partho-genesis did not occur for 140,000 years before male DNA appeared or wonder why that gap. Let’s work with the 200,000 year number. Assuming each generation is about 20 years (Baby Boomers are 1946-1964, a nineteen year span) then we should need 10,000 generations. Just so we are on the same page: Genealogical Eve and Adam are homo sapiens, not any of the other prior prototypes of humanity. That is why we are not talking of millions of years, but only 200,000 years. I once read that the aboriginal Australians believe they have a genealogical tree of 48,000 generations (and they kept track of them!!!). That does not seem to match with the current thoughts that they have resided on Australia for a mere 50,000 years. It does seem unreasonable to have a generation each and every year. This jester once met a man at a recent genealogical conference who claimed he had traced his genealogy back to King David(with source documents of evidence). Forgive me for doubting, but I did wonder, but did not give voice to my skepticism nor voice the obvious question of why, he could not take his genealogy back to Adam, son of God. The rest of David’s genealogy is recorded in the Bible. Go read a good book!